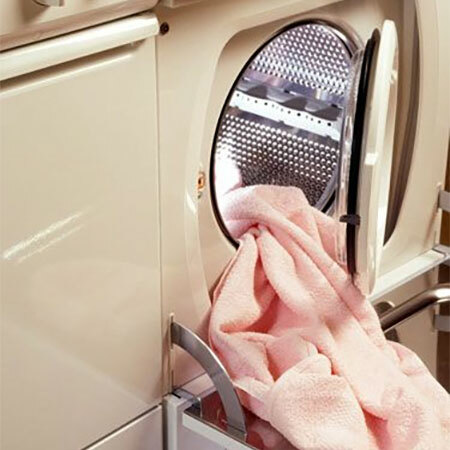 For freshly fluffed-up laundry, add a tennis ball or two to your tumble dryer. There are plenty of laundry tips on the Internet but one of my personal favourites, and one that really works, is to add a tennis ball or two to your tumble dryer. When doing any washing, and particularly if you are washing bed linen or pillows, adding a couple of clean tennis balls to your tumble dryer will fluff up your laundry. 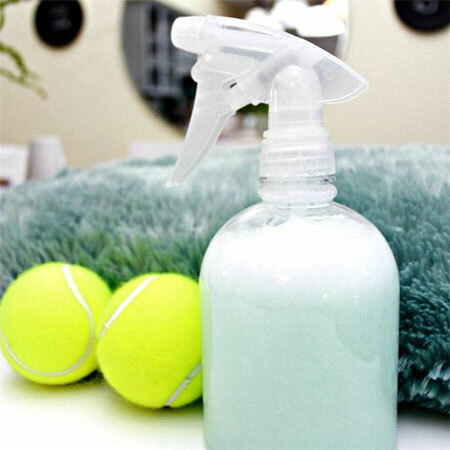 Adding a tennis ball is also a great way to fluff up and get rid of any lumps in your pillows or padded items. Bet you didn't know that by adding a couple of tennis balls to your tumble dryer you can remove wrinkles and cut down on the time spent ironing. Simply by popping a couple of clean tennis balls into your tumble dryer, these will help to remove quite a bit of wrinkles. The tip is to remove laundry from the dryer as quickly as possible and then fold this up. GOOD TO KNOW: Wrap your tennis balls with some tin foil and you can also reduce the amount of static that is produced during the drying process. You can speed up the drying time for your laundry by adding a few tennis balls to your wet laundry. Pop in the tennis balls and speed up on the time spent doing laundry and also cut down on your monthly electricity bill.